Lauren G. Solan, M.D., M.Ed. Dr. Solan is a pediatric hospitalist who cares for patients admitted to the hospital with general pediatric conditions. She also does research with interests in improving the way providers communicate with each other and with families and in helping patients transition home after hospital discharge. Dr. Solan also serves as the Associate Division Chief of Pediatric Hospital Medicine. Dr. Solan is a graduate of the University of Notre Dame (BS) and State University of New York at Buffalo School of Medical and Biomedical Sciences (MD). She completed pediatric residency training, chief residency and a three year Pediatric Hospital Medicine fellowship at Cincinnati Children's Hospital Medical Center. She was also a National Research Service Award fellow at Cincinnati Children's Hospital Medical Center. She also received her Masters in Medical Education through the University of Cincinnati in 2014. She joined the University of Minnesota as faculty in July of 2014 where her husband matched for fellowship. 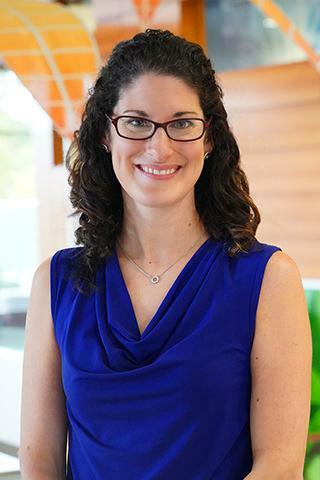 Upon completion of her husband's fellowship, she joined faculty at the University of Rochester as a clinical hospitalist and researcher in the Division of Pediatric Hospital Medicine. Dr. Solan has a broad interest in improving the way providers communicate with each other and with families. Dr. Solan has a special interest in patient transitions home after hospital discharge and the communication and handoff processes that surround that event. Dr. Solan served as a site co-investigator for the IIPE-PRIS Accelerating Safe Signouts (I-PASS) study in Cincinnati. She was also a study team member for a Patient Centered Outcomes Research Institute grant that evaluated the experiences of families transitioning home after a child's hospitalization, modified a nurse-led transitional home visit program, and evaluated the efficacy of the new transitional home visit program on patient-centered outcomes. Dr. Solan is currently funded by a University of Rochester CTSI KL2 Career Development Grant and is investigating how to predict which pediatric patients are at greatest risk for hospital readmission or Emergency Department revisit. Solan LG, Auger KA. "The Continued Quest for Pediatric Readmission Risk Prediction." Journal of hospital medicine.. 2018 Nov 1; 13(11):800-801. Epub 2018 Aug 29. Solan LG, Beck AF, Shardo SA, Sauers-Ford HS, Simmons JM, Shah SS, Sherman SN. "Caregiver Perspectives on Communication During Hospitalization at an Academic Pediatric Institution: A Qualitative Study." Journal of hospital medicine.. 2018 Jan 18; 13(5):304-311. Epub 2018 Jan 18. Beck AF, Solan LG, Brunswick SA, Sauers-Ford H, Simmons JM, Shah S, Gold J, Sherman SN. "Socioeconomic status influences the toll paediatric hospitalisations take on families: a qualitative study." BMJ quality & safety.. 2017 Apr 0; 26(4):304-311. Epub 2016 Jul 28.